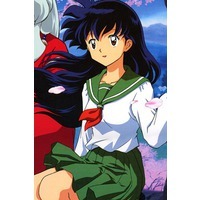 Kagome Higurashi is a character from the anime Inuyasha. 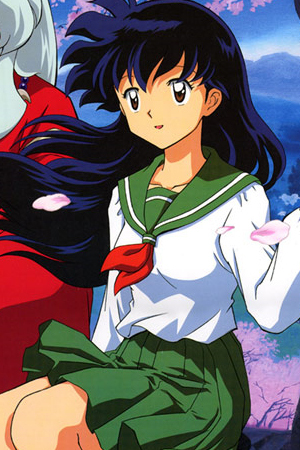 Kagome Higurashi (日暮 かごめ, ひぐらしかごめ, Higurashi Kagome) is one of the main protagonists of the series. Born in modern Japan as the spiritual reincarnation of the priestess Kikyo, Kagome has the Shikon Jewel unknowingly hidden inside her body until 1997, when a demon named Mistress Centipede pulls her into the Bone Eater's Well and 500 years back through time. 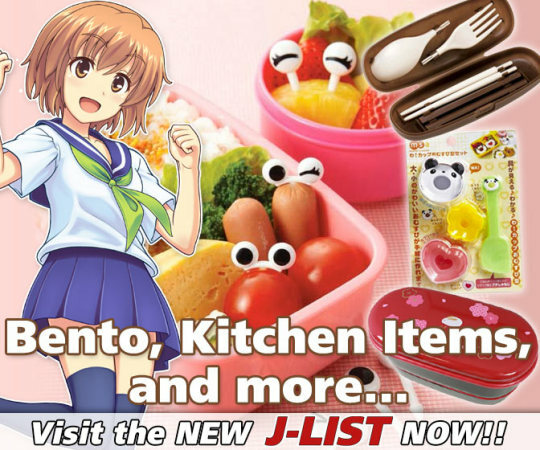 They emerge in the Feudal Era about 50 years after Kikyo's death, where the demon extracts the jewel from Kagome. Kagome takes over the task of protecting the Shikon Jewel from evil influences, but accidentally shatters it into numerous shards that disperse throughout the country. She shares many traits with Kikyo, such as their spiritual powers and abilities, physical appearance and (according to Inuyasha) even a similar scent. However, she does not retain Kikyo's memories and in comparison to Kikyo's personality, is a very different individual.